Nyco Products Company will give away a custom branded Fender Stratocaster guitar at the ISSA/INTERCLEAN North America 2013 Show in Las Vegas, in November, the company has announced. The contest is part of their new Rock Your Brand promotion, a campaign designed to bring attention to Nyco’s private brand services for distributors. The winner of the guitar giveaway contest will receive an authentic Fender Stratocaster guitar, designed and custom air-brushed with his or her company’s logo and branding. Nyco will also give away iTunes gift cards to qualified distributors at the show. 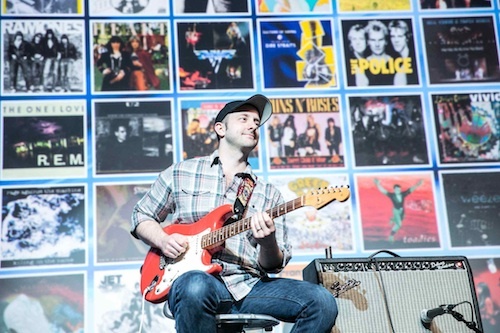 Topping off the "Rock," theme, Nyco is bringing in YouTube viral sensation Alex Chadwick, guitarist at Chicago Music Exchange, to play his now famed 100 Riffs (A Brief History of Rock N’ Roll) — every other hour during show hours at Booth 1921 on Tuesday and Wednesday, November 19 and 20. To date, Chadwick’s 100 Riffs video has received nearly 7 million social media views. The online entry form and official contest rules are available on Nyco’s website.